Time for a brief introduction: Fashion, meet our old friend, Architecture. When dynamic artistic forms collide, magnificent magic can happen. Some of our newest accessories for fall are a fusion of fashion, art, architectural element and textile design technique. Each piece is sourced in the USA and hand fabricated in our designer's atelier in Brooklyn, NY by trained artists and metalsmiths. 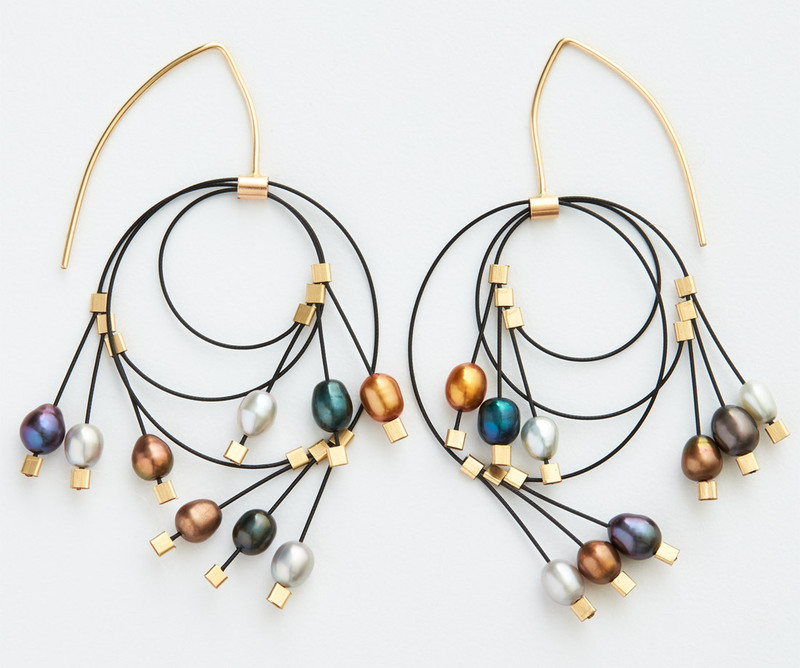 Combining simple building materials such as bridge cabling and industrial ball chain with semi-precious stones, this line inhabits the intersections of industrial and feminine, ordinary and extraordinary. These lightweight pieces are practically polymorphic: moving with your body, they simultaneously alter and anchor any outfit. 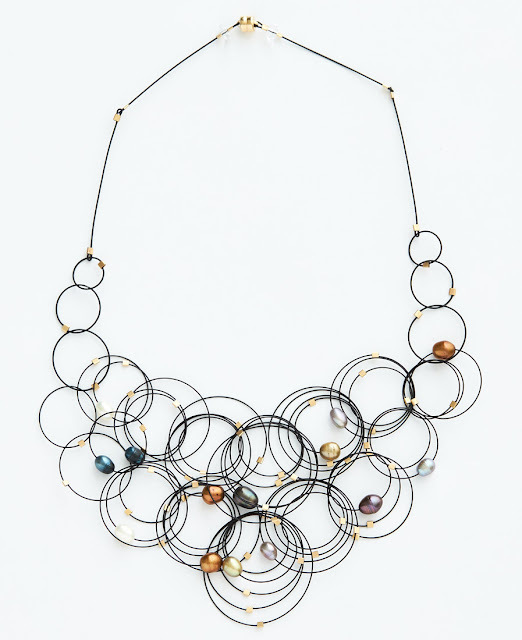 Both linear and geometric, sculptural and functional, this versatile jewelry creates a statement without weighing you down. Make a memorable impression at your art openings or holiday gatherings. Purchase these pieces here.